The Champions League makes a return tomorrow evening as the last 16 clubs battle it out for club football’s most prestigious trophy. It’s been a long two months since the group stages saw half of the tournament’s teams bow out, but we can rejoice in the fact that the next two weeks are filled with top quality midweek action. It was the dawn of a new era for the most successful side in the tournament’s history, defending champions Real Madrid. Zinedine Zidane departed the club after a breathtaking trio of Champions League titles and the almost godlike Cristiano Ronaldo pursuing a new challenge in Turin. Things went sour pretty quickly for Los Blancos, but Santiago Solari has since managed to right the ship and they remain in the hunt for an unbelievable 4th consecutive triumph. There are plenty of teams looking to take their well established seat at the top table though. Manchester City are going from strength to strength as they search for their first crown, while Liverpool are hoping to go one step further and lift the title this term. PSG are desperate to translate their domestic dominance into something tangible on a continental platform too, and the old heavyweights of Bayern Munich, Barcelona, and Juventus are all in the hunt too. Whatever happens between now and the 1st June at the Wanda Metropolitano, we can be certain that it’ll be an entertaining few months of football. The Champions League knockout stages kick off on Tuesday night with Manchester United hosting PSG and FC Porto paying a visit to Serie A side Roma, with Ajax vs Real Madrid and Tottenham vs Borussia Dortmund following a day later. These fixtures throw up a host of interesting stats and pieces of trivia, so we’ve put them together to come up with some rather promising looking betting specials. You can back them all in an accumulator below too! You can find all our betting tips and predictions on our Champions League Betting page. In what is undoubtedly the most high profile match of Tuesday night, the Ligue 1 champions PSG travel to Old Trafford as they look to push on to the next level of European competition. They will have to do it without the world’s most expensive player, Neymar, though, and there’s a good chance that attacking partner Edinson Cavani will be sidelined too. That leaves the Manchester United defenders with the difficult task of nullifying the significant talents of Kylian Mbappe. Mbappe is fast growing into one of the best footballers on the planet, and the 20 year old Frenchman doesn’t shy away from the big games. He showed exactly how he performs under pressure as he helped France win the World Cup last summer, and his record in the Champions League is an impressive 13 goals in 24 appearances. Three of those goals have come in six appearances this term, but more unusual is the fact that nine of these goals have come away from home. This includes 5 of his 7 Champions League goals since joining PSG. In fact, the youngster has only failed to score in 2 of his Champions League away appearances for PSG, so backing him to find the net at Old Trafford looks a very promising option. 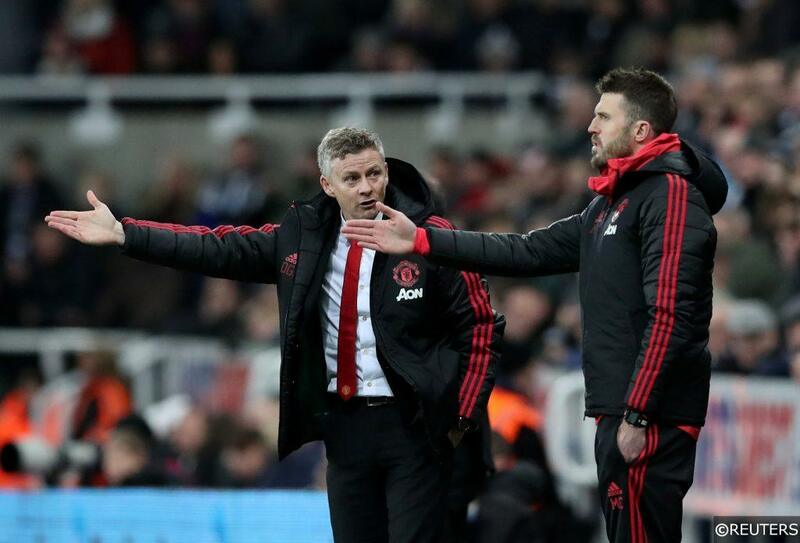 Read all our free betting tips and predictions in our Manchester United vs PSG match preview. Penalties are generally regarded as a bit of a novelty in football, with a ballpark average figure coming in at around 1 penalty every 3 matches or so. FC Porto are bucking that trend this season though – After just six group stage matches they have already seen a massive eight penalties awarded, including three in their final group match; a thrilling 3-2 win over Galatasaray. They’ve not all gone the Portuguese side’s way though, with an equal split of four penalties for and four penalties against. That alone would be enough for this bet to be worth a flutter, but there is another crucial fact as well – VAR will be in use throughout the Champions League knockout rounds. We saw just how influential the VAR system can be in the World Cup last summer, with a huge 29 penalties awarded and smashing the previous record of 18 penalties. The introduction of VAR, combined with Porto’s impressive average of 1.33 penalties awarded per game this season, makes this look a great price. 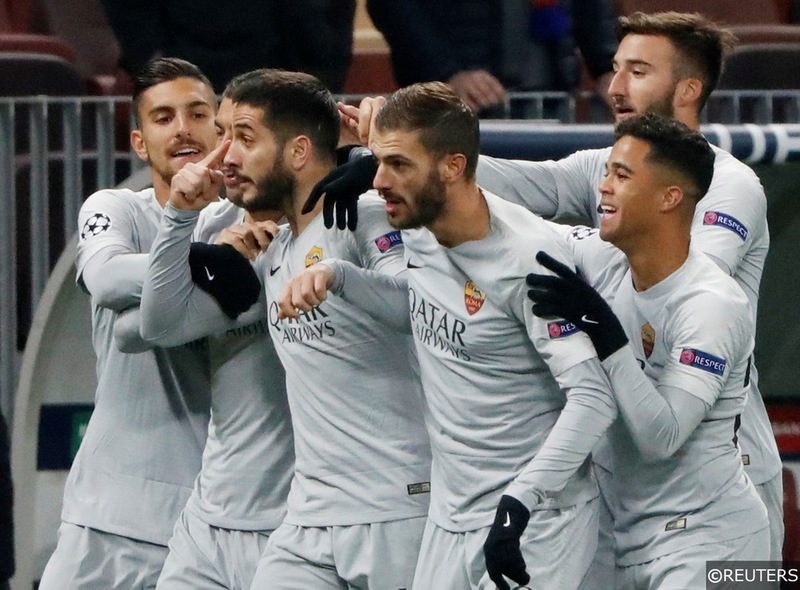 Read all our free betting tips and predictions in our Roma vs Porto match preview. The reigning champions start their knockout stage campaign on Wednesday night, but they will have to be very wary of Ajax’s unnerving ability to grow into games. The Eredivisie giants netted 11 times in the Champions League group stages, including bagging four goals in their two meetings with Bayern Munich. An impressive 10 of these goals came in the second half of proceedings, and not a single one of their 7 home goals in these matches came before the half-time whistle. Ajax’s second half shenanigans aren’t limited to the Champions League either. 57% of their Eredivisie goals have come after the break and in their last home match, a 6-0 demolition of VVV Venlo, de Gondenzonen plundered five goals in the second half. Backing them to hit a second half goal past a Real Madrid side who have shipped seven goals in their last six competitive matches looks a very valuable option. Read all our free betting tips and predictions in our Ajax vs Real Madrid match preview. Ajax aren’t the only team looking much better after the break either. Tottenham only just scraped through their Champions League group after a very poor start to the campaign, but in the end they netted a respectable nine goals in the group stages. Just like Ajax, Spurs only found the net once in the opening 45 minutes of the game and that singular first half goal came away from home. All five of their European goals at Wembley came after the break, and 58% of their home goals in the Premier League have followed suit. Borussia Dortmund shipped three goals in the last 15 minutes against Hoffenheim at the weekend too and only two of the last eight goals they have conceded have been in the first half. This is another great time to back the hosts in the second half scoring market. 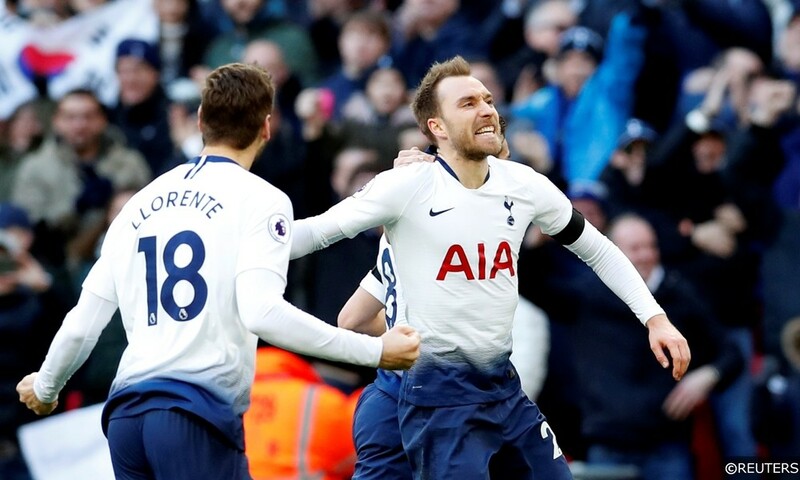 Read all our free betting tips and predictions in our Tottenham vs Borussia Dortmund match preview. Categories: Betting Odds, Blog, Champions League, Football, and Free Tips. Tags: Betting specials, Champions League, champions league betting, and champions league knockout. League: UEFA Champions League. Sports: Football.